When we travel I love to collect little souvenirs. There's always a stackful of magnets or postcards that make their way home with us. I've been looking for a few creative ideas of how to organize and showcase all the beautiful pieces and here are my top picks! 1. Gorgeous Shadow Boxes! 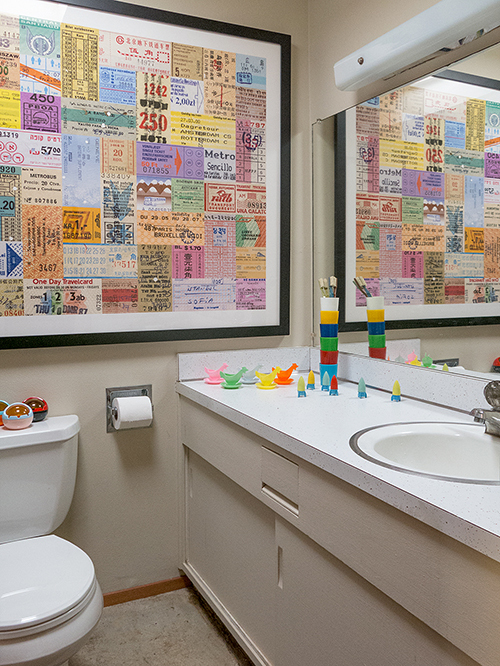 A lovely way to store all those knick-knacks. Instructions can be found at Design Aglow. 3. 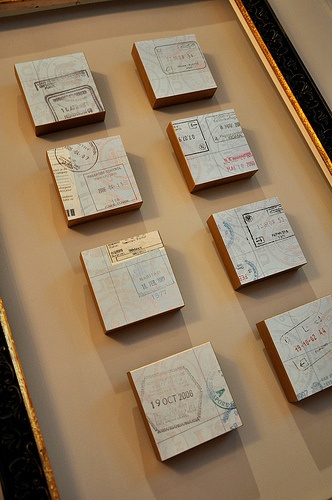 Have you ever thought what can I do with old Passports? Here's an idea! Take old passport stamps and turn them into a unique piece of art. Instructions can be found at Brooklyn Limestone. 4. USA Map. This really would be a dream project! 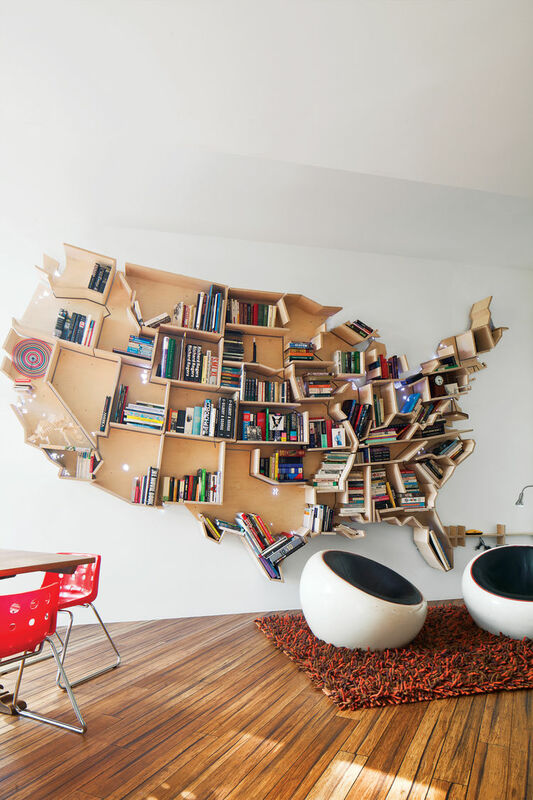 In each state you can place souvenirs or books! 5. Postcard Journal. 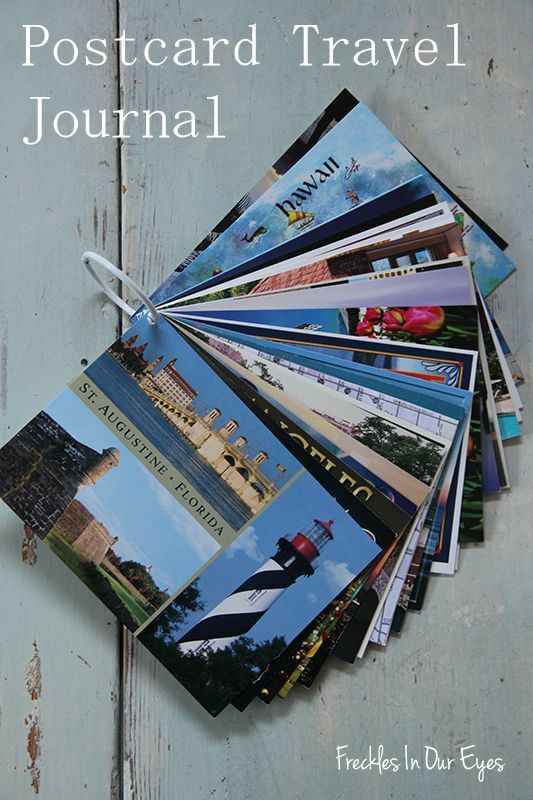 I have hundreds of postcards and love this idea of writing a note on the back of each card! 6. 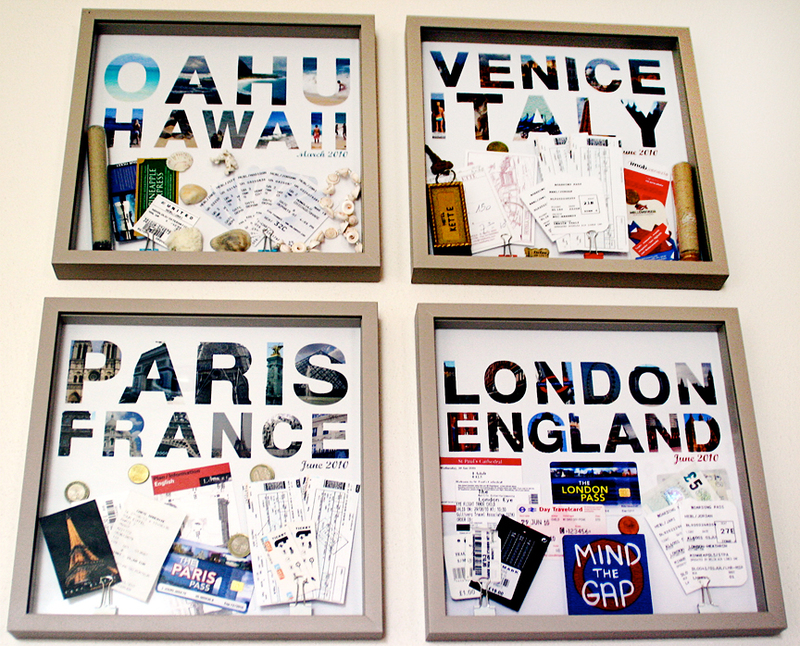 A beautiful way to frame maps! Instructions can be found here! 7. Cute Pillow. 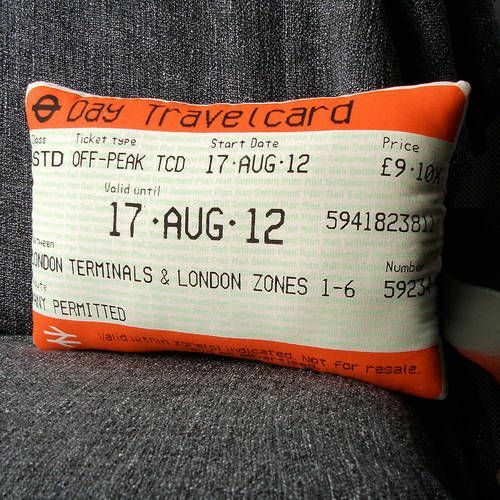 Have an old ticket stub blown up then transferred onto fabric to make a one-of-a-kind pillow! 8. Travel Collage. What a great simple idea! 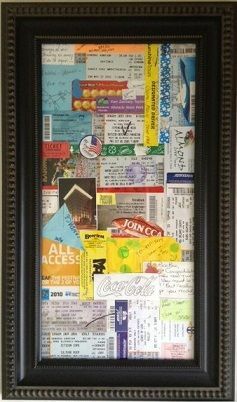 Frame all the stubs, receipts, hotel cards, etc., and hang it on the wall. 9. Admit one shadow box. 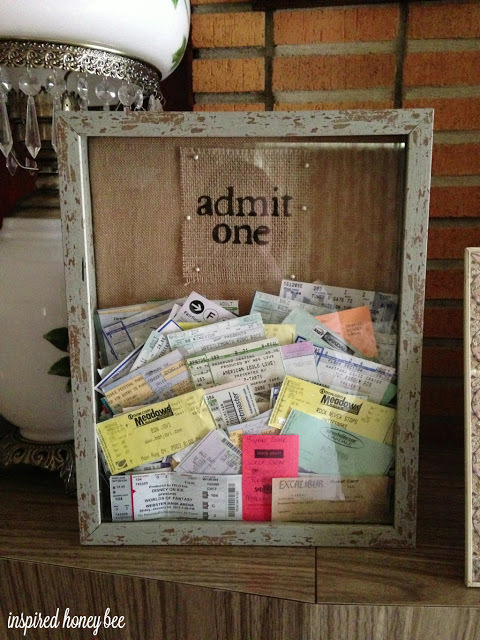 A super cute way to keep all those ticket subs! 10. Photo Frames. I literally have 10's of thousands of photos ready to be printed. The thought of it gives me a panic attack! 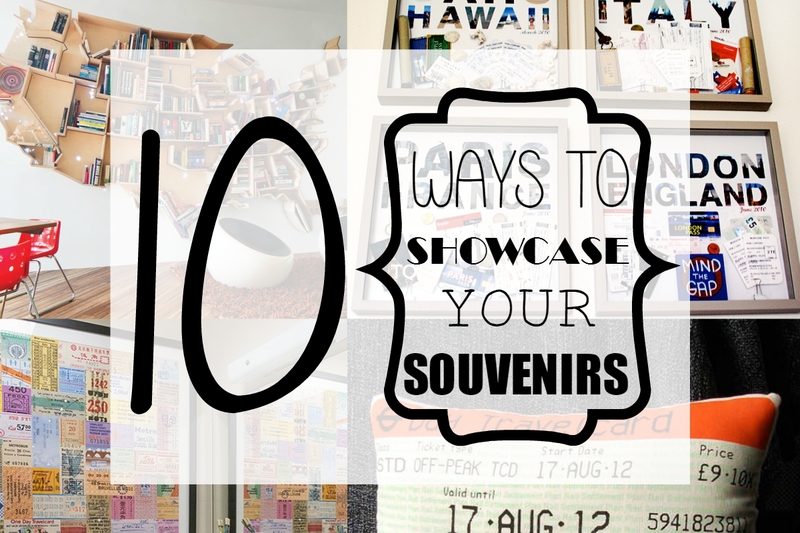 Here's an awesome way to display those travel photos! 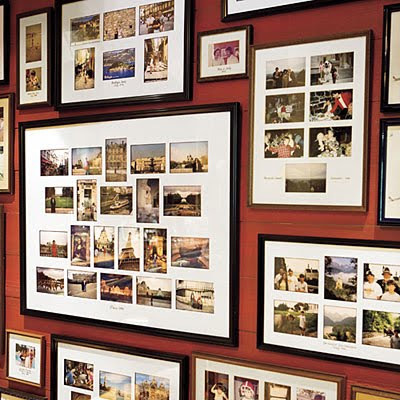 Each frame consists of photos from one trip along with a title.